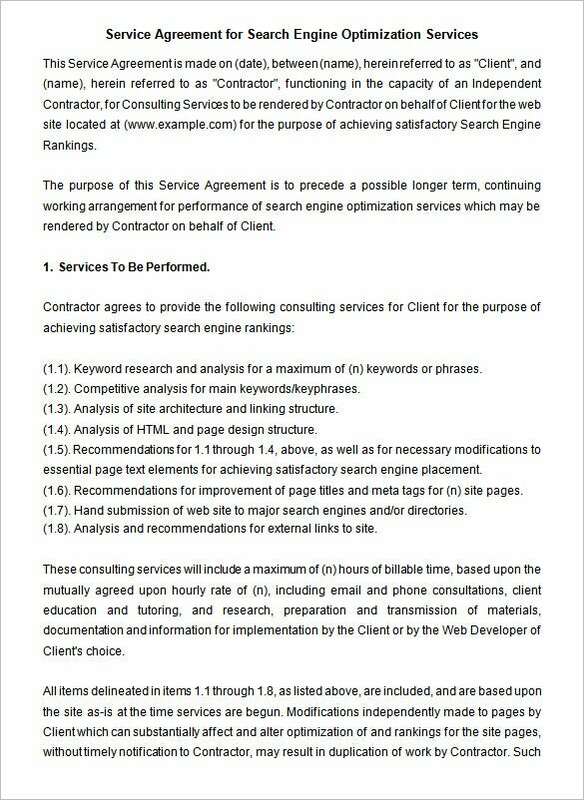 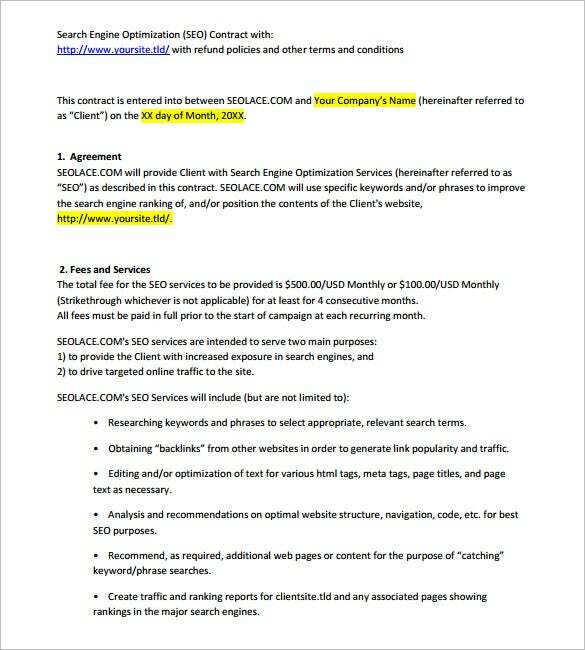 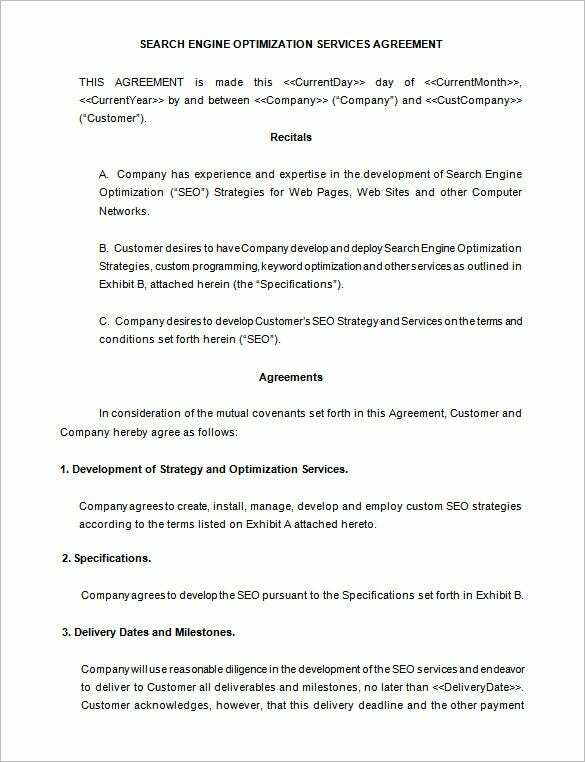 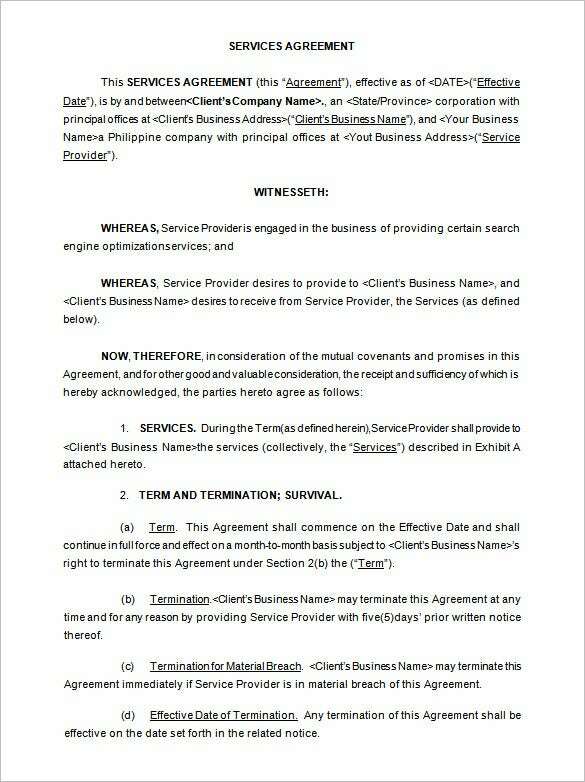 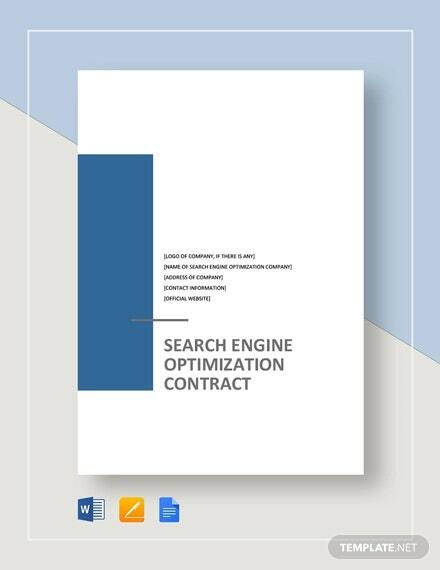 An SEO Contract Template is a premade paper package meant to help you create your contract with ease within the least time possible. 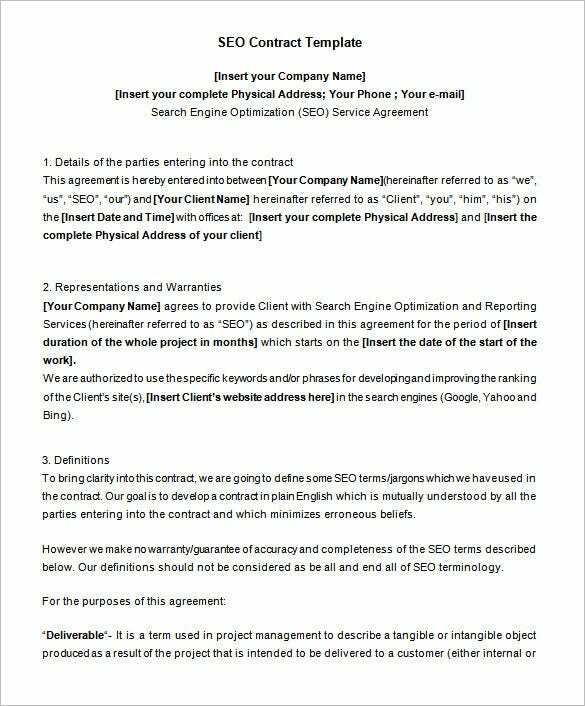 You can download and use SEO contract template to create a legally binding agreement templates, which you can the business you are contracting with should follow until the time the contract in question expires. 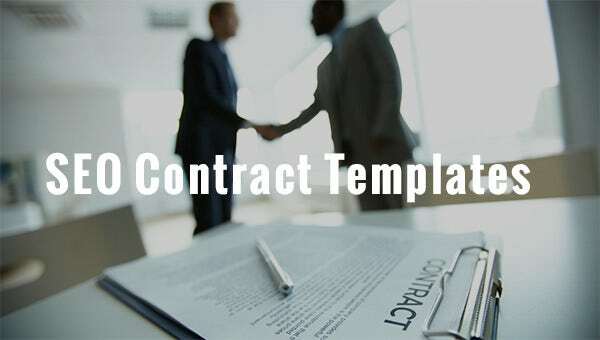 you can also see HR Contract Templates.